Description: Need something to do on a no-school day? 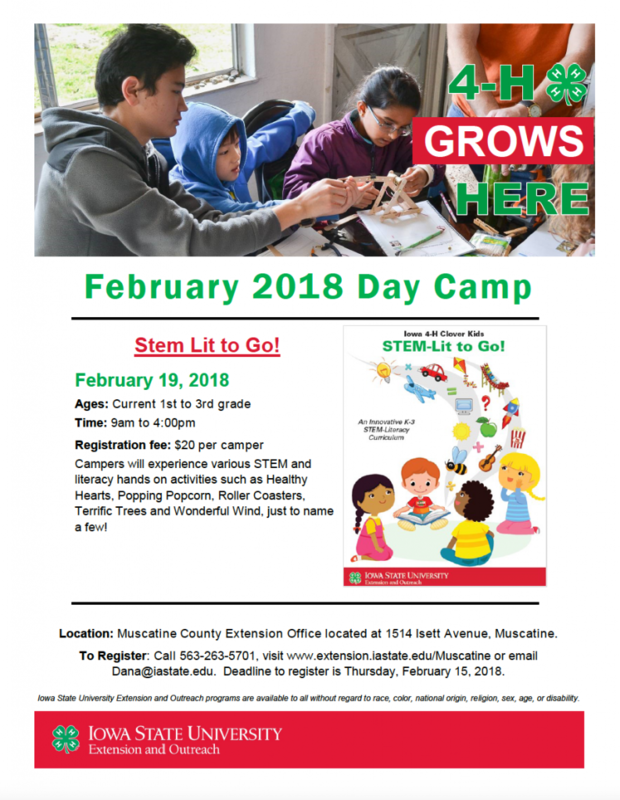 Well if you are a 1st to 3rd grader come to Muscatine County Extension office for a fun day of STEM-Literacy learning. Registration and payment due before hand and space is limited.